No matter how we might shelter ourselves with technology and scientific knowledge, there are forces in the natural world that can quickly remind us how little control we actually have. Old Man Winter is notorious for showing no mercy to those who underestimate him. He has defeated armies, wiped out entire civilizations – and even, on occasion, reshaped the face of the Earth. 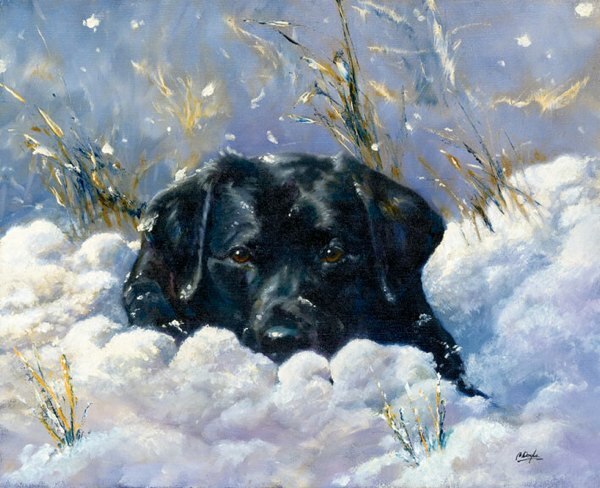 On January 22, 2004, logger Greg Clark was boating off the southeastern coast of Alaska with his long-time sidekick, Brick, a black Labrador. At 12:23 p.m., Clark sent out a distress call, saying that his boat had struck rocks somewhere near Heceta Island. By the time help arrived, there was no sign of Clark or Brick. Searchers combed the area for three days, finding only an unused survival suit and pieces of boat wreckage. One month later, Clark’s former friend Kevin Dau was out with his father off Heceta Island when he spotted what he first thought was a wolf. However, upon closer inspection, he recognized that it was Brick, who had somehow survived the icy waters and made his way to shore – where he endured sub-zero temperatures, treacherous terrain, and an almost complete lack of food. Kevin reported that when he called Brick’s name, he immediately dove into the frigid water and swam to the boat fast enough to cause a wake, despite being injured, malnourished, and sick from exposure. Jan Baalsrud was an expatriate Norwegian Commando and all-round badass, who participated in covert operations to provide supplies for the Norwegian resistance during the WWII Nazi occupation. After being betrayed and ambushed by German soldiers, Baalsrud fought back, and managed to escape – despite having one of his toes blown off in the skirmish. 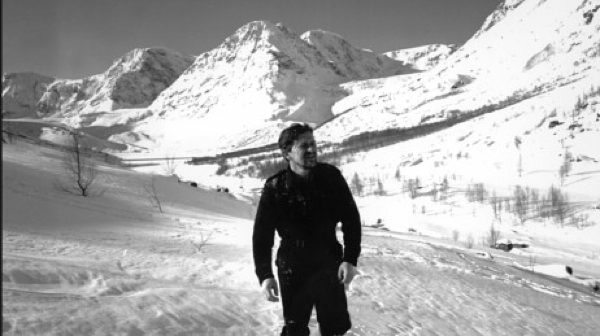 Lacking any supplies, and wearing light clothing and only one shoe, he trekked across the Norwegian mountain country, surviving an avalanche and suffering extreme frostbite before finally stumbling into a small village where locals took him in. 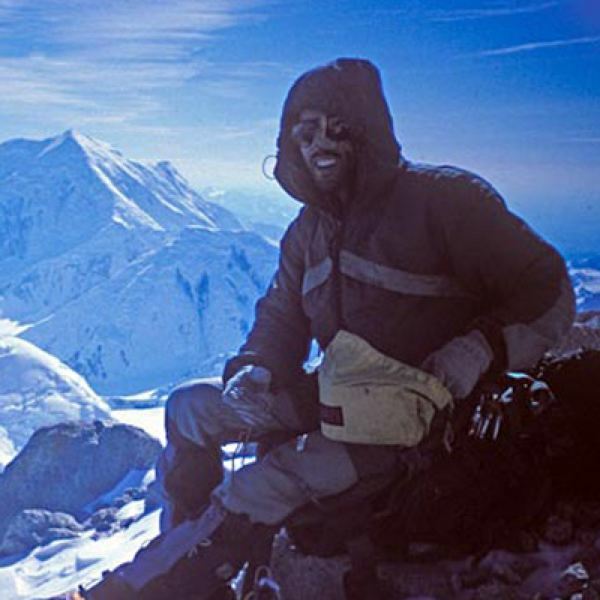 Beck Weathers survived 18 hours in sub-zero temperatures in the so-called “death zone” of the mighty Mount Everest, before miraculously regaining his senses and crawling back to camp. Upon his return, he was found to have corneal lacerations, hypothermia, and a severe case of frostbite that would later result in the amputation of both of his hands. His experiences are narrated in Jon Krakauer’s bestseller, Into Thin Air, which tells the story of the ill-fated expedition that resulted in the deaths of eight people during the worst climbing season in the history of Everest. 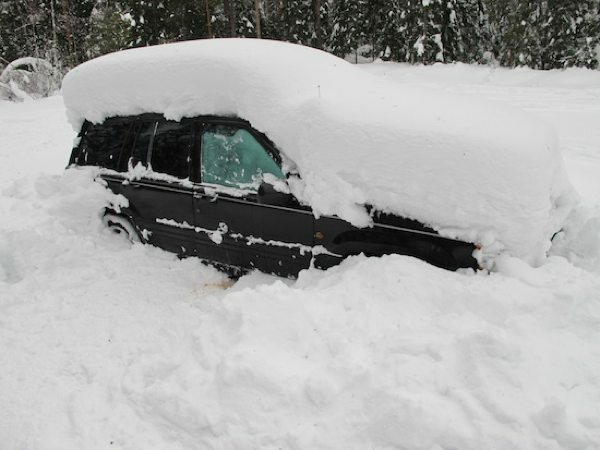 A 45-year-old unnamed man from southern Sweden was found huddled in a sleeping bag in the back seat of his car, after being snowbound for 2 months on a remote forest road. Doctors were shocked to find that he had survived for so long without food, leading many to believe that his body must have adjusted to the low temperature; much like a bear, his body would have switched into a temporary state of dormancy. This amazing ability allowed him to survive longer than any other victim of a snowbound car on record. 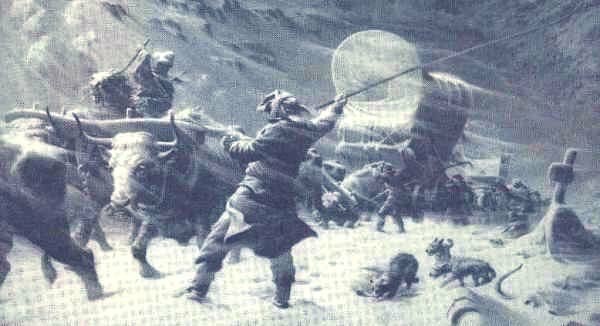 The Donner-Reed party was a group of American pioneers who, in 1846, set out for California by wagon train, only to be delayed by a series of unfortunate mishaps and navigational errors. These accidents forced them to spend the rest of that winter snowbound in the Sierra Nevada Mountains. As many in the party began to succumb to exposure, starvation, and sickness, some of the others resorted to eating the dead. Only 48 of the original 87 members of the Donner-Reed party lived through the winter and made it to California. Their infamous tale has been told for generations since – a testament to the human will to survive. On October 6, 1993, William Jeracki was fishing alone in a small creek near Denver, Colorado. Upon noticing ominous clouds gathering overhead, he decided he had better call it a day. But as he got ready to leave, a simple misstep caused him to dislodge a large boulder, which landed directly on his left leg. Unable to free his badly crushed leg, and with a snowstorm fast approaching, William chose to amputate the leg at the knee, using fishing line as a tourniquet and a dull pocketknife to saw through tendons, nerves and his patellar ligament until his femur slid out of the knee socket. He then crawled to his truck and drove himself to a nearby clinic, where he was evacuated by air to The University of Colorado Hospital. 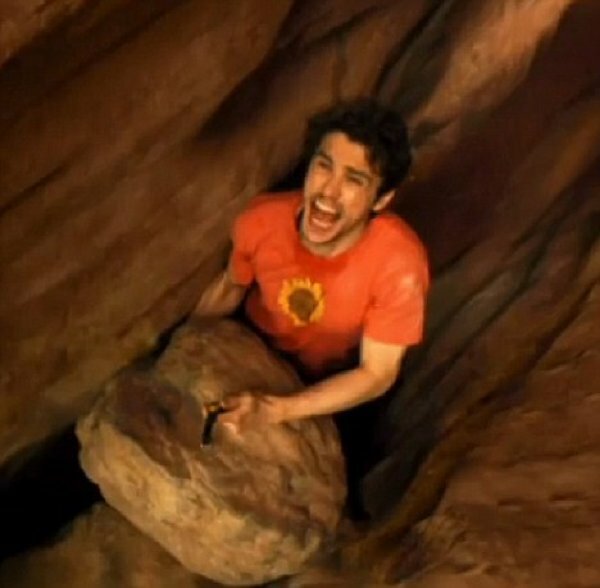 If you’ve already seen the movie 127 Hours (pictured above) then you might be thinking to yourself, “Meh, I’ve heard this before – big deal.” But consider this: a leg would be an unholy hell of a lot worse to amputate than an arm, and this guy didn’t need a couple days to think about it. He did it in less than four hours! Anna Allen and her boyfriend Frank Yeatman were just about to hit the slopes of Alpine Meadows when a monstrous avalanche suddenly swept down the mountain, pulverizing all in its path. Hours later, Anna awoke in pitch darkness, freezing cold and with a mind-numbing headache. A day passed as she drifted in and out of consciousness until she finally began to realize where she was and how she came to be there. After nearly two days of being trapped beneath frozen debris with no food or water, she began to hear rescue workers calling her name, though they did not seem to hear her desperate replies. It was almost another 24 hours before rescuers finally pulled her out of the ice and informed her that she was a survivor of North America’s deadliest ski-area disaster. In late December of 1992, Jim Stolpa, his wife Jennifer, and their 5-month-old son, Clayton, found themselves snowbound in their pickup truck after taking a remote route through the Sierra Nevada Mountains. Stranded, freezing, and with few supplies, they huddled within the cramped pickup truck for four days before making the difficult decision to strike out into the thigh-high snow as it became evident that rescue wasn’t coming. After walking 16 miles, Jennifer became too tired to continue. Refusing to give up, Jim found a small cave nearby where Jennifer and Clayton took shelter while he pressed on through the frozen wilderness in search of rescue. For two more days, he trudged through the snow until he finally found help. He then led rescue workers back to the cave, where Jennifer and Clayton were found cold, hungry, and exhausted – but alive. 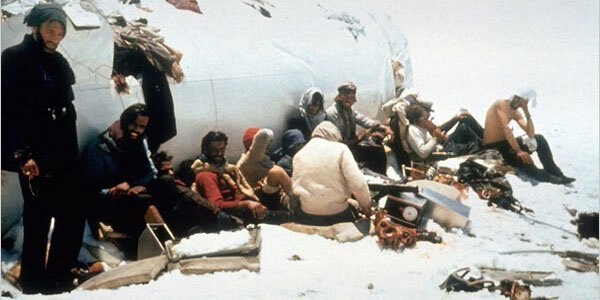 On October 13, 1972, Uruguayan Air Force Flight 571 crashed high in the Andes Mountains, killing a quarter of its 45 passengers, which included a rugby team, their family members, and associates. Of the 29 who survived the first few days at over 11,000 feet with little food and few supplies, another eight were killed in an avalanche that destroyed their makeshift shelter within the wreckage of the plane. Now without supplies or any hope of rescue, those who remained fed on the frozen bodies of their family and friends. After desperately clinging to life for over a month, two of the remaining survivors chose to brave the unforgiving terrain in search of help. They endured a grueling 10-day trek across the frozen wilderness, before they finally found a Chilean man. The man gave them food and alerted the authorities as to the location of the wreckage, where the last of the survivors were soon rescued. Colby Coombs was a 25-year-old National Outdoor Leadership School instructor, on vacation in the Alaska Range with his friends Ritt Kellogg and Tom Walter. 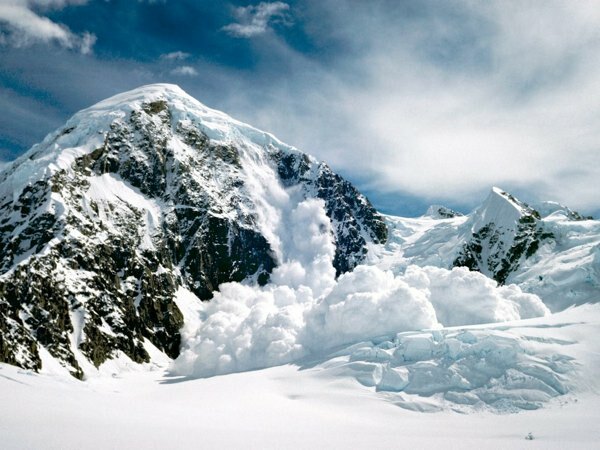 As the trio neared their goal of completing Mount Foraker’s Pink Panther Route, a massive avalanche suddenly rushed down from above, knocking them 800 feet down the side of the mountain. Coombs awoke six hours later, dangling from his rope and suffering two fractured vertebrae in his neck, a broken shoulder blade, and a fractured ankle. After regaining his senses, he swung over to his friend Walter, who was dead; his face encased in ice. 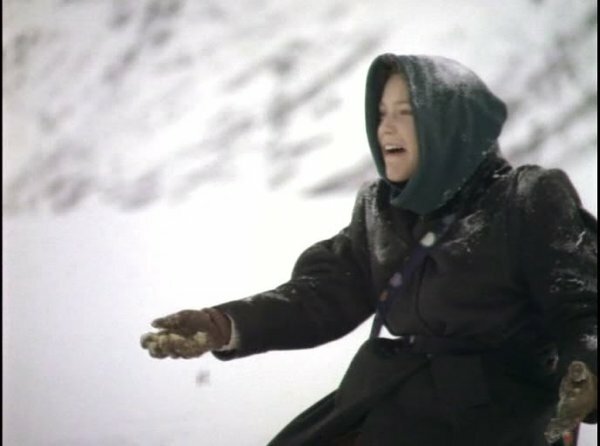 The next day, as he struggled to make his way down the mountain despite his injuries, he found Ritt, who had also been killed. For four days, Coombs shut out all thought of pain and loss, as he made a tough descent the mountain before finally reaching safety.